In the war-torn country of Uganda, the traumatizing impact of years of war on children—particularly girls—demands a targeted and comprehensive approach to facilitate successful psychosocial healing and community reconciliation. Increasingly, girls are being exploited at earlier ages and for more brutal uses, such as sexual slavery, chattel for trafficking, and as armed combatants. ChildVoice International has an emphasis on sanctuary, psychosocial and spiritual counseling, education, skill building, reintegration support, and access to basic health care, providing girls with the opportunity to develop assets to protect themselves against the vulnerabilities that for so long defined them, as well as achieve the restoration and wholeness that has long eluded them. Furthermore, ChildVoice’s programs are designed to help prepare these children, their families, and their communities for their transition home. Ninety-three percent (93%) of the girls ChildVoice has served in the last 6 years are back in their communities, raising their families and working in meaningful jobs, not dependent on aid or outside help. At age 37, Betty is an experienced mother with 8 children. She had no one to help her with the children financially until she joined the ChildVoice jewelry program. Since working with ChildVoice, she is able to buy uniforms and books and send all 8 of her children to school—a large accomplishment in itself. Betty’s favorite part of the job is the bead rolling itself. She says she is grateful that people will continue to buy her jewelry through WorldCrafts, as it has helped her to make these opportunities in her life and her children’s lives possible. Widowed. Destitute. HIV-positive. 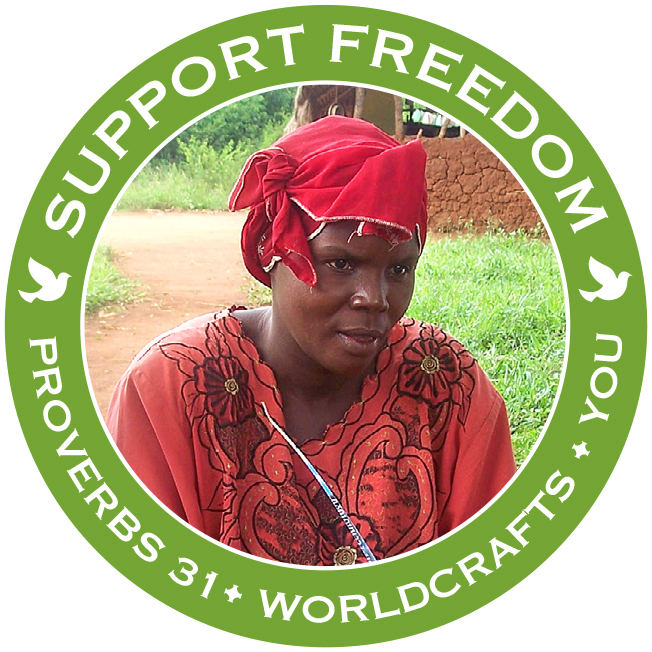 These words could be used to describe the women of the Proverbs 31 artisan group in Uganda. But as they make colorful, attractive beaded jewelry out of recycled paper—you’d never guess—their hearts join together in song and their faces light up with smiles of joy! Sales of their beautiful, handmade items provide badly needed income to meet their families’ most basic needs, such as food and rent. Today, words that best describe these Proverbs 31 women would be hopeful, encouraged, full of thanksgiving, and praise!